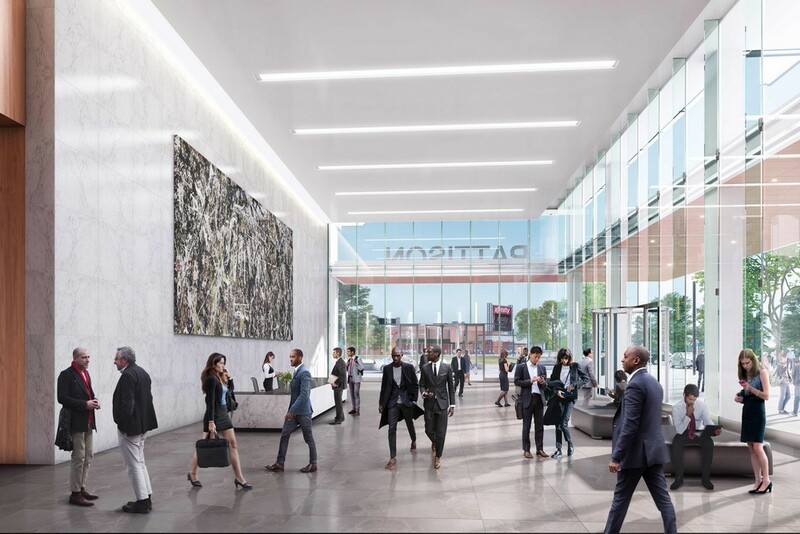 PHILADELPHIA, PA (February 7, 2019) – Comcast Spectacor and The Cordish Companies announced new details today for Pattison Place, an $80 million, new construction Class-A office tower in the heart of the Philadelphia Sports Complex. Adjacent to Xfinity Live!, Pattison Place will offer an incredible office location amid the home venues of Philadelphia’s beloved professional sports teams, and stands in close proximity to The Navy Yard. Designed by Beyer Blinder Belle and Philadelphia-based BLT Architects, Pattison Place will boast 200,000 square feet of new construction, Class-A office space featuring a grand 4,000 square foot lobby with expansive 35-foot ceiling heights, including 20,000 square feet of premier ground-floor retail. With 12-foot floor-to-ceiling windows, Pattison Place will offer one-of¬a-kind panoramic skyline views of downtown Philadelphia, the surrounding Sports Complex and neighboring Navy Yard. “We are excited to see this next phase of investment and growth in the Sports Complex by the Comcast Spectacor and Cordish partnership, building on the original vision of a destination complex for sports and entertainment,” stated John Grady, President of PIDC, Philadelphia’s public-private economic development partnership that has managed investment in the Sports Complex on behalf of the City. For more information, please visit www.pattisonplaceoffices.com. The Cordish Companies’ origins date back to 1910 and encompass four generations of privately-¬held, family ownership. During the past ten decades, The Cordish Companies has grown into a global leader in Commercial Real Estate, Entertainment Districts, Sports-Anchored Developments, Gaming, Hotels, Residential Properties, Restaurants, International Development, Coworking Spaces and Private Equity. 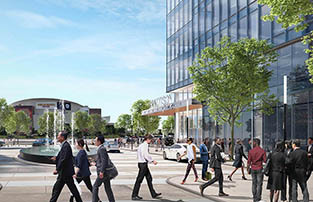 One of the largest and most respected developers in the world, The Cordish Companies has been awarded an unprecedented seven Urban Land Institute Awards for Excellence for public-¬private developments that are of unique significance to the cities in which they are located. 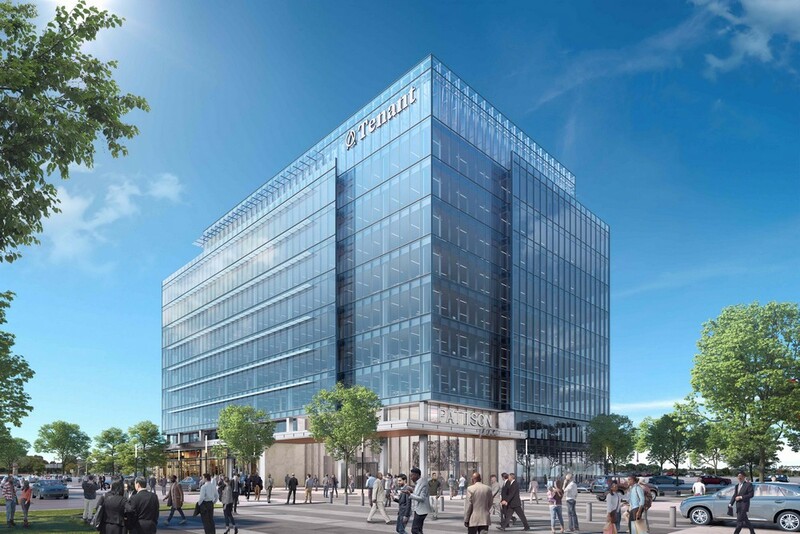 The Cordish Companies has developed and operates highly acclaimed dining, entertainment and hospitality destinations throughout the United States, many falling under The Cordish Companies’ Live! Brand, highly regarded as one of the premier entertainment brands in the country. Welcoming over 50 million visitors per year, these developments are among the highest profile dining, entertainment, gaming, hotel and sports-anchored destinations in the country. Over the generations, The Cordish Companies has remained true to the family’s core values of quality, entrepreneurial spirit, long-term personal relationships and integrity. As a testimony to the long-term vision of its family leadership, The Cordish Companies still owns and manages virtually every business it has created. For more information visit www.cordish.com or follow on Twitter. “The Cordish Companies,” “The Cordish Company” and “Cordish” are trademarks used under license by independent corporations, legal liability companies and partnerships (“Cordish Entities”). Each Cordish Entity is a separate, single-¬purpose legal entity that is solely responsible for its obligations and liabilities. No common operations or financial interdependency, and no intermingling of assets or liabilities of the Cordish Entities exists, or should be deemed to exist, as a result of the potential common reference to multiple independent entities operating under the names “Cordish,” “The Cordish Companies” or “The Cordish Company” here or elsewhere.